HIGHEST SPECIFICATION AVAILABLE NISSAN X TRAIL IN THE BEST COLOUR COMBINATION OF EBISU BLACK METALLIC WITH FULL BLACK LEATHER INTERIOR IN EXCEPTIONAL CONDITION THROUGHOUT. FULL SERVICE HISTORY EXAMPLE COMING WITH A NEW 12 MONTHS MOT, 12 MONTHS COMPREHENSIVE NATIONWIDE WARRANTY AND 2 MONTHS AA BREAKDOWN COVER FOR FULL PEACE OF MIND! JUST ARRIVED! 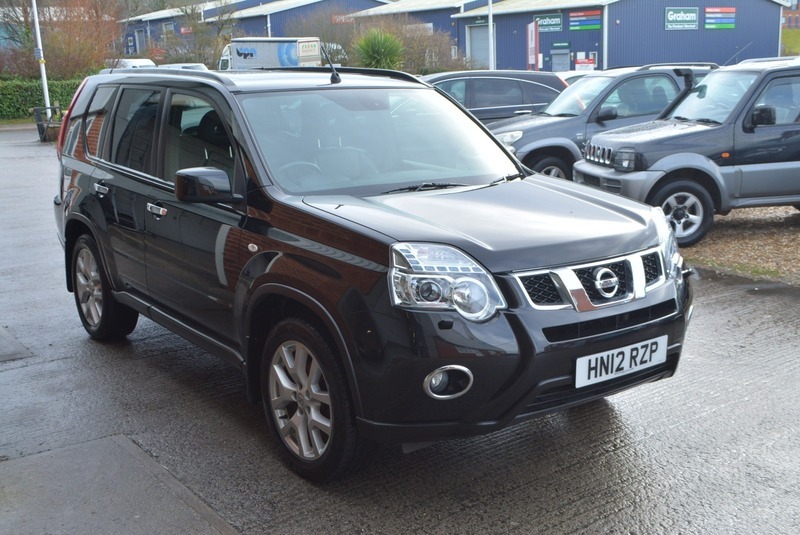 Here we have a stunning NISSAN X TRAIL TEKNA DCI 2.0L DIESLE MANUAL 5 DOOR 4X4 in Ebisu black metallic with full black leather interior in truly exceptional, unrivalled condition throughout. Full service history at intervals of 18k, 38k, 48k & 63k having now only covered 68,000 miles, coming with a new 12 month MOT, 12 months comprehensive, nationwide warranty and d 12 months AA breakdown cover. This top of range example comes fully equipped with a factory fitted electric glass panoramic sunroof, satellite navigation, full colour reverse camera with 360 degree park assist, alloy wheels, cruise control, climate control air conditioning, electric windows, am/fm stereo with front loading cd player and integrated Bluetooth telephone connectivity, electric mirrors, rear privacy glass, key-less entry and two fully remote keys. BEST SPEC, BEST COLOUR, GREAT HISTORY AND SENSIBLE MILES - QUITE SIMPLY, IF YOU CAN FIND A BETTER EXAMPLE - BUY IT!